Looking for sunshine on a gloomy day? Call Bloomex and order a fantastic bouquet of yellow asiatic lilies, salal and seeded eucalyptus to bring the sun right into the recipient’s home. Make this person shine as bright as these lovely flowers. 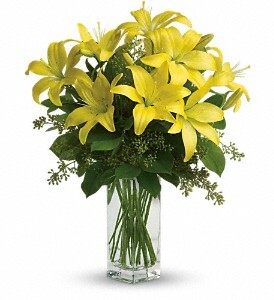 In the language of flowers the yellow lily is a symbol of happiness, thankfulness and enjoyment. If that’s exactly what you’d like to tell the recipient, you’ve made the right choice! 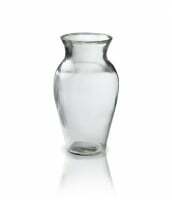 Approximately 16 1/4" W x 20 1/4" H.